#Diet Detective Investigation: Are the #Marketing Claims True? Are These #Food Products Worth It? Claim: Zico, a sports drink alternative, is made from 100 percent pure coconut water with no added fat, sugar, carbs or acidity. It provides more potassium than a banana and four additional naturally occurring electrolytes in a single 60-calorie serving. Facts: An 11-ounce container of coconut water is a low-calorie (60 #calories), electrolyte-rich beverage (especially calcium, magnesium, potassium). A large banana has 487 milligrams of potassium, and 11 ounces of the coconut water have 670 milligrams. Not bad. Potassium is necessary for muscle contractions (including your heartbeat), transmission of nerve impulses and the delicate balance of fluid and electrolyte regulation. Diets rich in potassium lower blood pressure, reduce the adverse effects of salt on blood pressure (one in five Americans has high blood pressure), may reduce the risk of developing kidney stones and may decrease bone loss. The Institute of Medicine has now set the adequate intake of potassium for adults at 4,700 milligrams per day — more than double previous estimates — and more than 90 percent of Americans are not meeting this recommendation. This product is a pleasant surprise in an overcrowded beverage market. It’s all natural mdash; nothing added whatsoever — and does have #health benefits, although not necessarily all the company implies. If you look at the Web site, you might believe this is a miracle formula. The claims include enhanced muscle performance, weight loss and kidney cleansing. Are they true? Well, to a certain extent, yes, but you could also argue numerous health claims for a piece of fruit or a serving of spinach or broccoli. Fiction: One claim I do question is that the coconut water is a weight-loss aid. While there might be weight-loss properties in the nutrients from coconut water, it still has 60 calories per 11 ounces, so if you have four of these per day that’s an extra 240 calories, which is significant for most people (professional athletes excluded). Concern: Is this something you should be drinking? “Endurance athletes or those who train and engage in hours of exercise can potentially benefit from so-called sports drinks that contain calories in order to stay adequately hydrated, but people who exercise casually, or less than an hour, or who do moderate as opposed to high-intensity exercise may not need more than water to get and stay hydrated,” says Elisa Zied, M.S., R.D., C.D.N., author of Nutrition at Your Fingertips (Alpha Books, 2009). In fact, it could potentially be dangerous. “Drinking too many of these beverages can overload you on specific nutrients, such as potassium. Consuming too much potassium can be a problem for those with kidney problems or anyone who takes potassium supplements. If one consumes too much potassium, blood potassium levels can get too high and contribute to cardiac arrest or even be fatal,” she adds. Bottom line: Not an athlete? Once in a while, it’s an OK treat, but it’s a pass most of the time. If you are an athlete, it’s a decent choice. 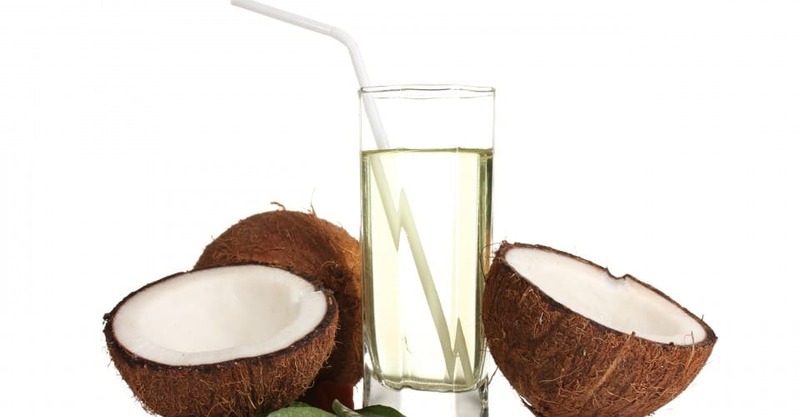 However, remember, “You have to drink about 40 percent more coconut water to get the amount of carbohydrates in traditional sports drinks, and some heavy-sweating athletes may want to add a pinch of salt for additional sodium and chloride — the primary electrolytes lost in sweat,” adds Blatner. Claim: “Fruit that is stripped down to its bare goodness” is good for you. Fact: Eating a diet rich in fruits and vegetables is a good thing — that’s for sure. And the simpler it is to eat fruit, the more likely you’ll be to eat more. Fiction: Many of these fruits are not better for you bare,­ that is, without the skin. Concern: There are two main issues I have with these products. The first is the added sugar in many of them. For instance, 1/2 cup of Del Monte Pineapple Chunks contains 70 calories, along with 15 grams of sugar and no fiber, whereas 1/2 cup of cut up pineapple contains 41 calories, 8 grams of sugar and 1.2 grams of fiber — significantly better all around. Not all the Del Monte products have added sugar, but many do. The other problem is that removing the peel is not always a good thing when it comes to fruit. “It saves us time when we’re talking about grapefruit, oranges, pineapple, mango and pomegranate. But removing the peel on fruits like apples, peaches and pears is a bad thing because it is removing healthy fiber,” says Blatner. Bottom line: Buy fresh fruit that has all its fiber and no added sugar. How hard is it really to prepare an apple or a peach? And while pineapples and grapefruit might need a bit of extra work, many markets sell cut up fruit — a better option. If you do buy these products for convenience, save yourself and your family excess added sugar and empty calories by not eating/drinking the sugary syrup in which the fruit is floating.